I've been very bad and I haven't gotten a lot of jewellery work done. The stuff that I've finished, I've been lazy about and haven't photographed. I'm quite happy with them! They're a pretty decent size, 15x20mm, and are almost feel non-existent when you're wearing them. They're a very unique shape, and I've gotten a lot of compliments on them when I've worn them around the city! I adore these earrings.. 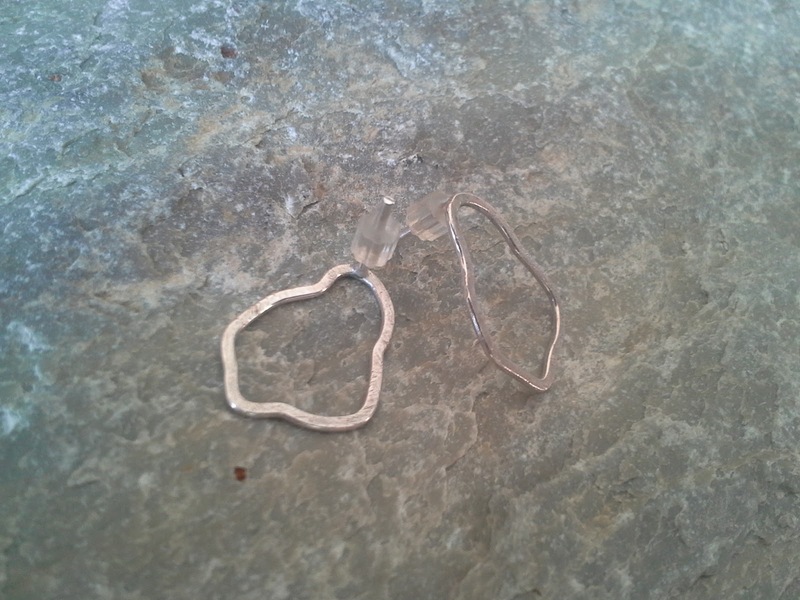 I feel like they really demonstrate that you can make unique, lovely jewellery using just about anything, including pre-formed components. 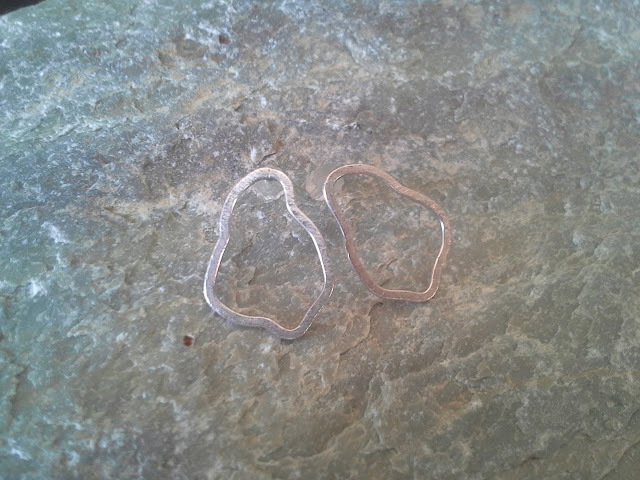 I bought these soldered rings from my work, and added my own studs to them. It wasn't a headache to make, it went quickly, and I got a lot of bang for my buck. How can you really have anything to complain about at that point? I need to remember to keep it simple. If I don't keep it simple, it doesn't stay enjoyable.